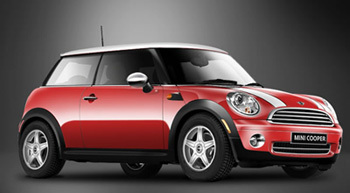 Bills Bimmers is also your headquarters for any repairs or maintenance you need for your Mini Cooper. Tempe sometimes seems like the perfect city to drive one of these exotic vehicles, but there are precious few auto shops that can handle Mini Cooper Repairs. 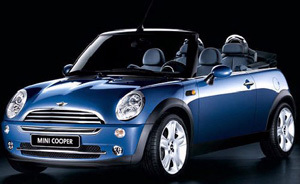 We are proud to offer Mini Cooper Service to all drivers lucky enough to drive these exceptional vehicles. We invite you utilize our expert technicians to keep your Mini Cooper maintenance costs down to the absolute lowest price possible, while still providing your exotic import with the care it needs to operate flawlessly. As far as the Inspections are concerned for the Mini Cooper, There are actually two levels of scheduled maintenance that need to be done. These two inspection levels must be conducted periodically or your vehicle will experience serious troubles down the road. One of the most interesting features of the Mini Cooper is the service countdown; this is what will give you an indication of the best time to have your vehicle serviced with either Inspection one or two. Though it is best to have all of these services done at the same time, if necessary, we can conduct them when you are ready. There is a significantly more thorough set of checks than we have outlined here, but this is the most basic list for what you can expect from both inspection schedules. Because we are an independent shop, we are able to take your personal needs into account. By attention to your requirements and whatever budget constraints you may have, we are able to tailor our maintenance procedures to make sure that you get the most out of your vehicle for as long as possible. Whenever considering exotic cars, it is important to realize that they have issues that are specific to their design. The Mini Cooper has been known to experience transmission issues if very special care is not taken to avoid them. The best thing you can do as a driver to keep your Mini Cooper in excellent condition is to make sure the proper maintenance is performed on schedule. We perform the full suite of Mini Cooper Maintenance procedures to make sure that your prized exotic vehicle loses none of its more enjoyable qualities. Let us take care of the maintenance that your Mini Cooper needs. We understand that when it comes to driving an exotic import vehicle, you don’t want to worry about the small things. Out technicians are ASE certified and have undergone considerable training to make your Mini Cooper a joy to drive. Contact us today and schedule an appointment, we’ll get you back on the road as quickly as possible.